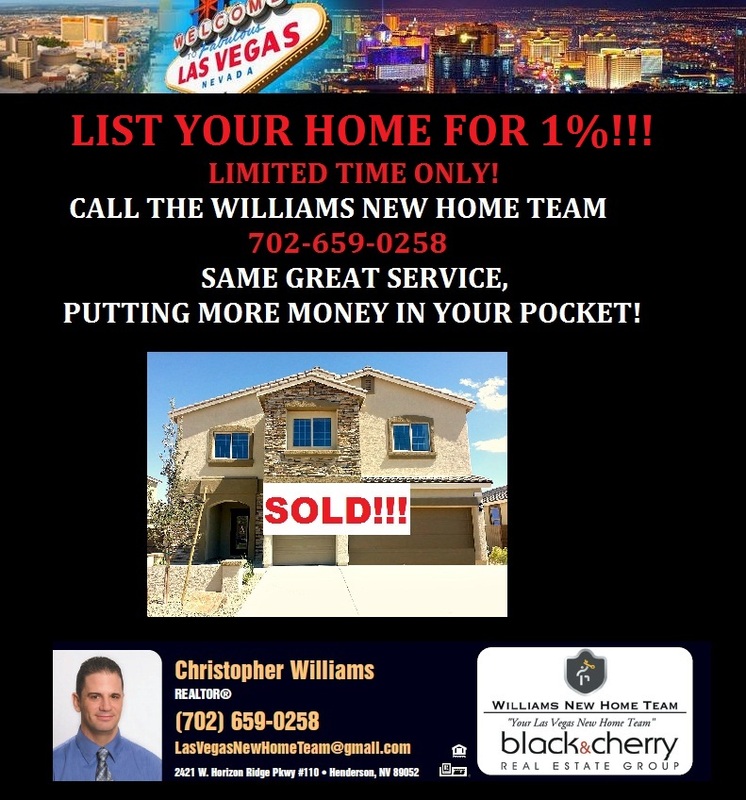 Want to sell your home in Las Vegas? Call the Williams New Home Team today! For a Limited Time Only we are offering to List your Home for 1%!!! Same great service, putting more money in your pocket!